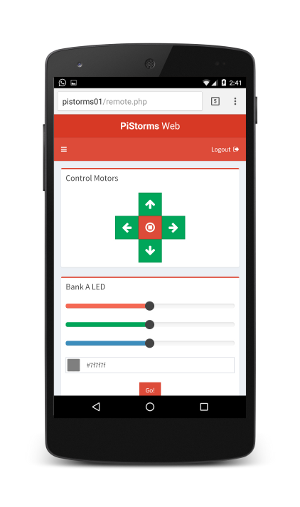 Ensure that you have installed PiStorms software v4.005 or higher. 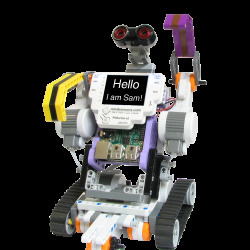 Also ensure that your Pi and PiStorms is configured to connect to your local wireless (or connect it with an Ethernet wire). 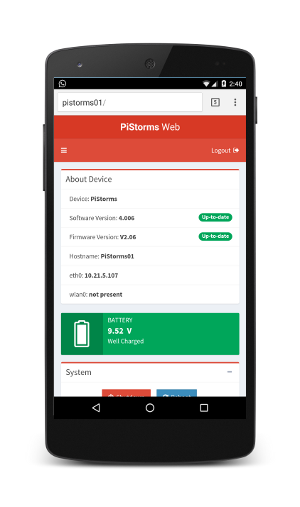 You can find your hostname on the PiStorms Screen (as in picture below). If a login screen appears, enter 'PiStorms' to continue. 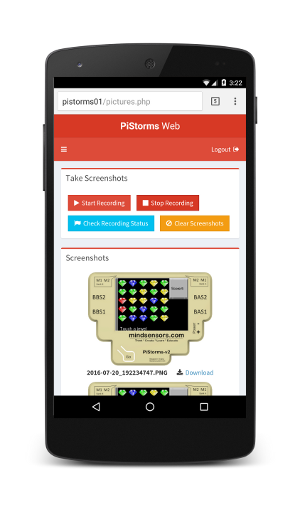 You will see a screen displaying information about your PiStorms. Really useful! After some use, we have a couple of comments. 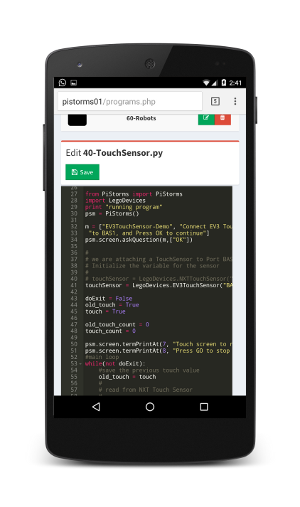 It could be possible to use the web interface with bluetooth instead of wifi (taking advantatge of the bluetooth pre-installed in RPi 3)? Or is it possible to use some kind of direct wifi connection between the Pi and phone/tablet/pc (this is to avoid the use of a router)?